Join me and my guest, Comedian Sunda Croonquist on the Born To Talk Radio Show Podcast, on Monday, February 4th from 1-2 PT. 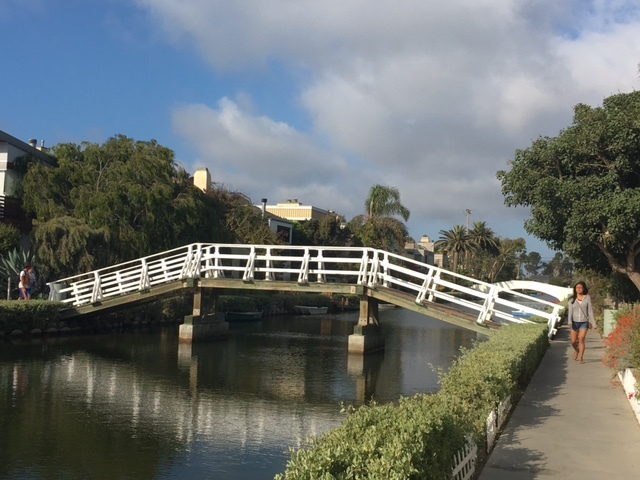 With a BA in Criminal Justice, Sunda also worked as a probation and parole review officer in Newark, New Jersey. She then worked as a detective while taking acting classes and eventually landed roles in local plays and films. 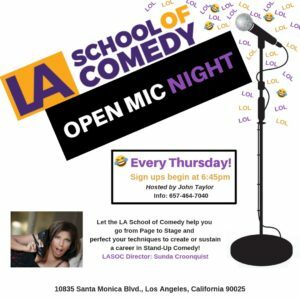 Sunda started the LA School of Comedy to help build confidence to take that first step onto the stage. Have you ever thought about doing stand-up comedy? “This is a 4-week workshop where you learn to write and perform stand-up comedy. Page to the Stage will help you develop a style, rhythm, and cadence that will truly convey your comedic persona. 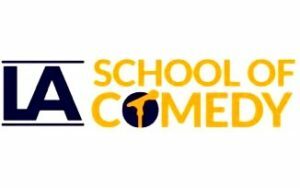 We will help you develop and enhance your comedic writing and perspective and as you develop your craft you will create a unique stand up performance.” Are you ready to take your humor to the stage?? When Sunda isn’t busy with her Comedy School and performing regularly, she found time to write a cookbook. 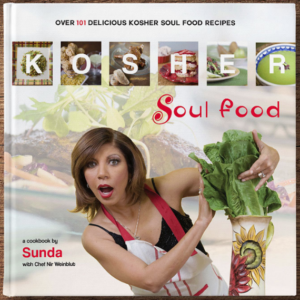 Sunda will be sharing her story about why she wrote a Kosher Soul Food with Chef Nir Weinblut. As you might imagine, this is going to be an entertaining show. I may have met my match because I believe Sunda was also Born To Talk!